Nite Owl Creates: Valentine Pinterest Party! 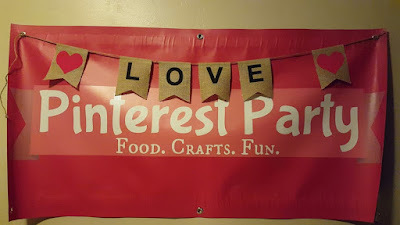 Quick break from the CHA / Creativation conference posts to post about the latest Pinterest party! It was nice to be able to do a theme party before the month of the actual holiday. We got together on January 31st (since I was gone for most of the month!) and had a great time! 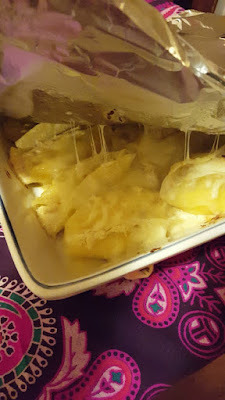 We had Chicken Alfredo Stuffed Shells and they turned out delicious! 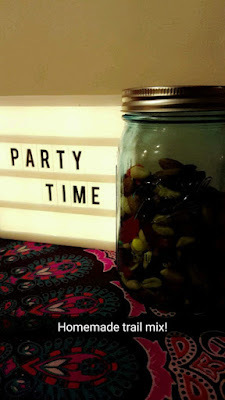 Lindy brought trail mix with all the good stuff! This picture is dark but the mix had M&Ms, craisins, Swedish Fish, and peanuts. Win! 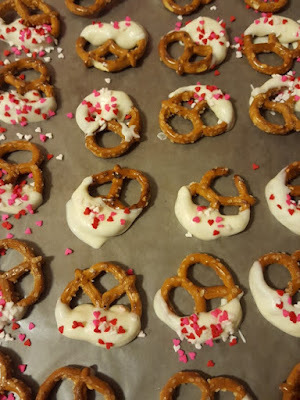 So sad I forgot to put these pretzels out. Melt white chocolate and sprinkled with Valentine sprinkles. 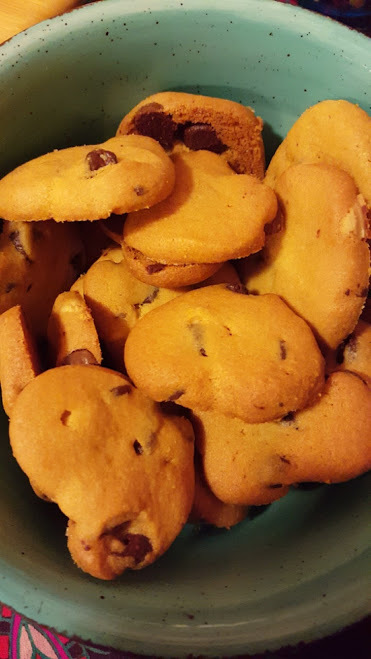 Pretty quick and fairly easy to make. I love putting these together and giving them to friends + eating a few myself. I try to balance out the sweets with some savory too and these french bread English muffin pizzas were perfect. 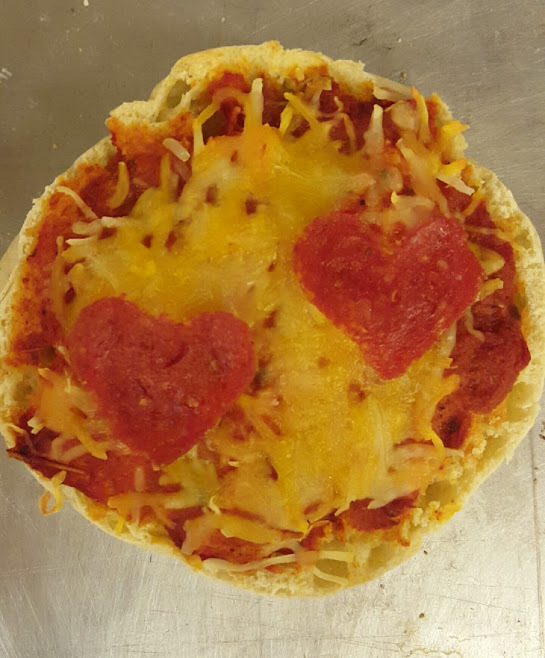 I cut pepperoni in the shape of hearts to put on top of sauce and cheese, melted everything in the oven for about 15 minutes at 350* and boom, great snack and addition to the party. 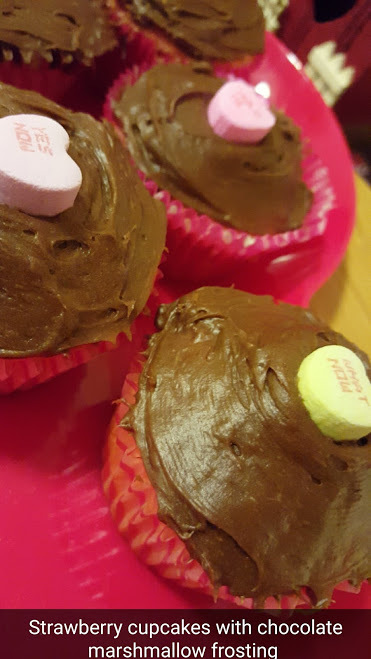 Also made some of these cupcakes. 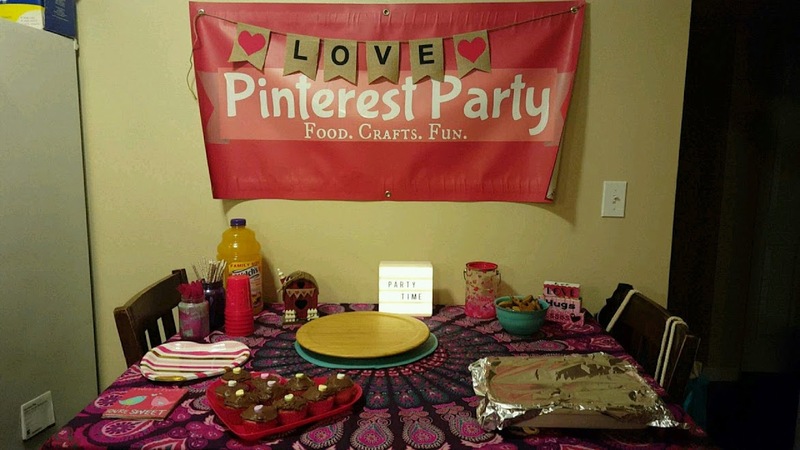 It seems like cupcakes appear at every Pinterest party. Kinda funny! 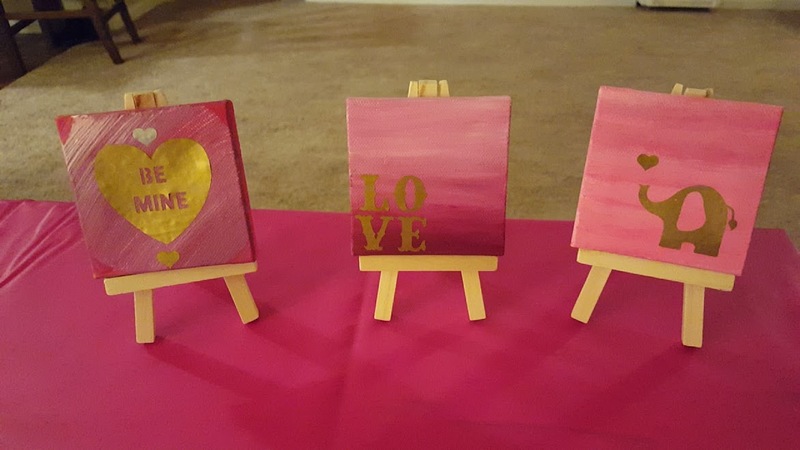 These were super fun to make and we started with blank canvases and used shades of pink, red, purple and white paint to create the background. 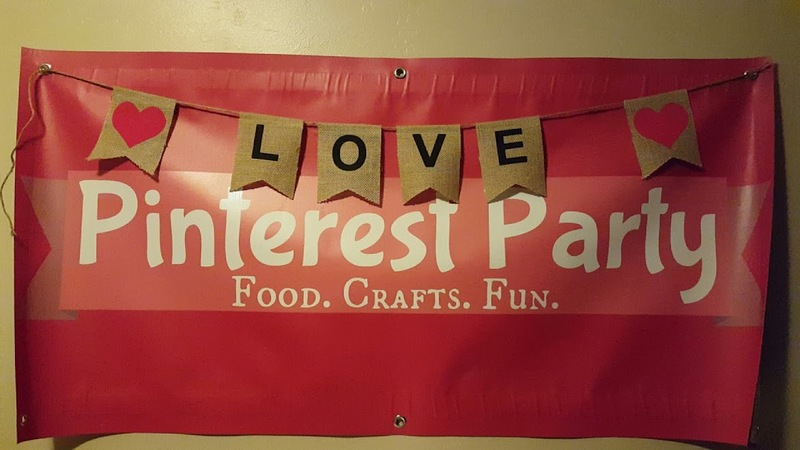 I used my Cricut Air 2 to cut different Valentine shapes in white, silver and gold and somehow we all ended up picking the gold. 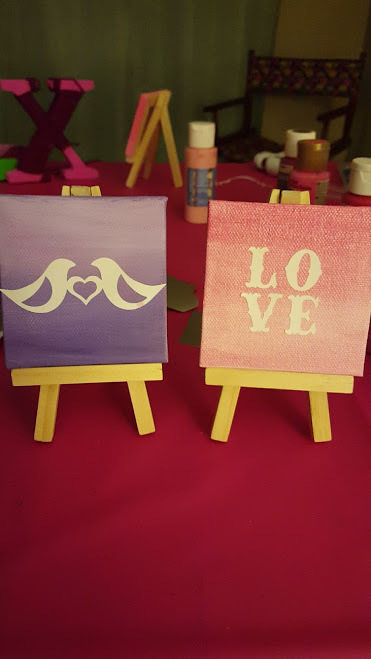 After everyone left I put these two together for friends that could not make it. 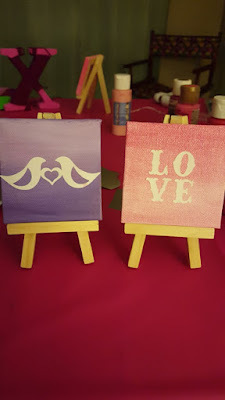 So fun and a simple and easy craft once you get the hang of blending the paint but really, you can paint the canvas however you want. It dries pretty quick and the vinyl is easy to pull off and reposition if needed. 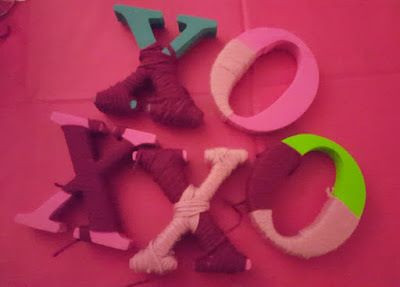 I have big plans for upcoming Pinterest parties and am already working on the spring theme one!